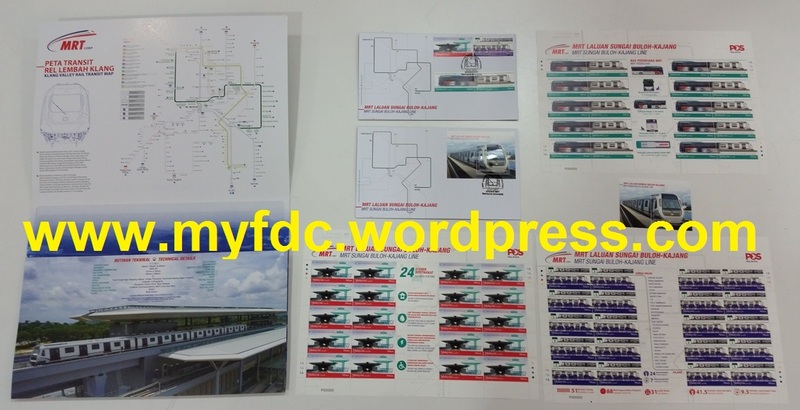 Well, this has been well publicised in various online portals and hints from newspaper coverage on the opening of the second phase of the Sungai Buloh – Kajang MRT. This time the line extends from Semantan all the way to Kajang. The opening date is already set on 17 July 2017. The press preview was held today in the Kuala Lumpur Philatelic Bureau HQ. It was very well attended. The prices are before GST (currently at 6%). The launch event for the MRT Phase 2 will start at the Tun Razak Exchange Station. However this is a closed event. The Honourable Prime Minister will then take the MRT to the Stadium Kajang Station. There will be a formal launch event in Stadium Kajang including a Pos Malaysia booth offering a “Tun Razak Exchange” special pictorial cancellation! The event is supposed to be held from 11:00 am to 03:00 pm. The actual timing has yet to be released. 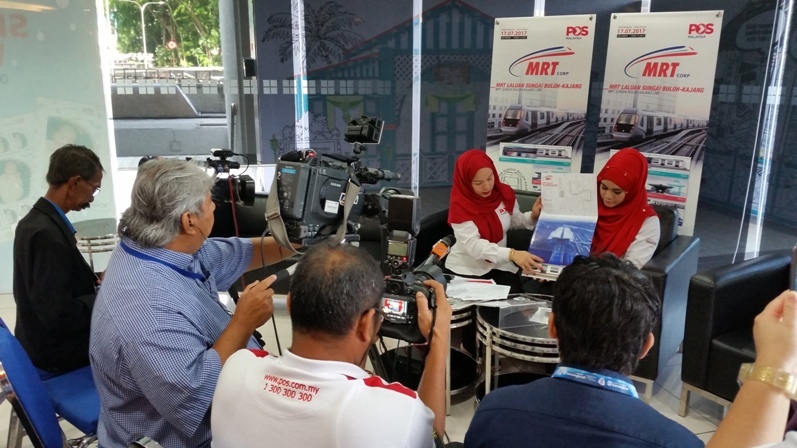 The event is organised by MRT and the launching ceremony is a private event. Is it possible to obtain the cancellation in the stadium? Well, why not drop by and check it out. Great news for Standing Order Deposit Account (SODA) holders! Your FDCs will also be serviced with the Tun Razak Exchange cancellation! Get your Touch & Go ready for the ride of the year! I’ve been waiting for this for quite long. The detail of stamp release is very handy for me to arrange some budget/expenditure for upcoming sale. Thanks for reading. I have not heard from you for quite some time. Glad it is useful! I’m still keep visiting your blog almost everyday for any stamp issue updates. Just that some stamp releases that sparked my interest make me want to comment on something. I will publish when there is really important information which has been checked. If I publish loosely, it will create unnecessary spam. Keep in touch!